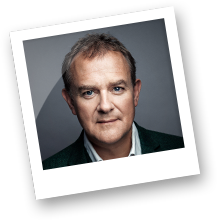 British stage, television and movie actor Hugh Bonneville portrayed Mr Brown in ‘Paddington’, as well as its sequel, which is due for release in 2017. 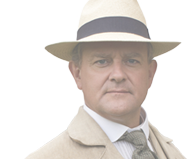 Bonneville also starred in the period drama ‘Downton Abbey’ from 2010 until 2015. It’s mid-afternoon in the living room at Michael’s house, looking out over the garden, not so far from Paddington station. The celebrated author is holding a glass of champagne. On the floor, on their hands and knees, are our wives, struggling to put together a cardboard castle that, it says on the box, “your pets will have lots of fun exploring”. Down at guinea pig level (Michael and his wife Sue have two of the squeaky darlings), what had started as a great idea is rapidly descending into a bad one. As our other halves resort to swearing because Side A will simply not say hello to Fold B, Michael looks at me and my son and raises his glass with a twinkle. It could have been the set-up to one of his own stories about the little bear from darkest Peru. Equipped with a spirit of enquiry and boundless enthusiasm, Paddington’s adventures usually centre on his desire to better understand or improve the world around him. But it never takes long before things spiral into chaos. Others have to intervene, inevitably making things worse, before somehow disaster is finally averted and the situation is resolved, with Paddington emerging smelling of roses and, if a little bruised, always seeing the bright side. Although we first met on the set of the first Paddington movie in 2013, I felt I had known Michael Bond all my life. Millions of readers feel the same. Of course, we had known only a facet of him, the part of Michael that inhabited a character that has enchanted readers for more than 60 years, and will do so for as long as children read. Initially, my parents read me the stories, then the Paddington series became the first books I actually read for myself. I read them to my son; I’ve read them to thousands of other children too, as audiobooks. In recent years I’ve spent time with Paddington in an entirely new way, playing Mr Brown in the live action movie and now its sequel, which we finished shooting on the day we learned of Michael’s death. Like the evacuees at any number of British railway stations during the war, Paddington is dependent on the kindness of others. The Brown family first encounter him sitting atop his suitcase on the platform of Paddington station, with a label round his neck that reads “Please look after this bear. Thank you.” The Browns open their heart to him and so do we; we want to protect him, this stranger in a strange land. We all know that feeling: be it arriving in a new school, a new neighbourhood, a new country – alone and in need of the hand of friendship. We identify with that little bear as he does his best to fit in. However, he hasn’t quite learned the skills to go about assimilating in a conventional way. And we humans like the unconventional, especially the unconventional that goes spectacularly wrong before coming good in the end. We also respect his modesty and his politeness. He is unfailingly courteous but not above giving those who forget their manners a Hard Stare (Paddington Goes To The White House would be a good read). 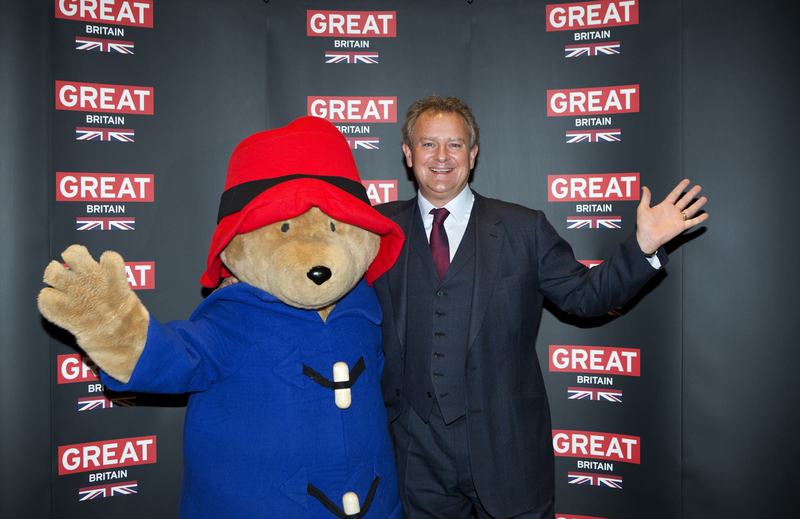 Paddington is funny, principled, adventurous, charming, has generosity of spirit and a great heart. Like the man sitting opposite me, that afternoon not too long ago. Michael pours another glass of champagne and kindly signs my treasured copy of A Bear Called Paddington. By tea time the cardboard castle has at last been constructed and admired from every angle. The guinea pigs step tentatively over the drawbridge and begin to explore. Over the months that follow, Michael and Sue send us photographs of the guinea pigs playing within the fortress, its grand walls and turrets shrinking as time goes on. In fact so persistent is the nibbling, reducing the proud castle floor by floor, that eventually it resembles nothing so much as a modest bungalow. But the guinea pigs don’t mind, because life tastes good.